2. Sift together cake flour, sugars, baking powder and salt. Add canola oil, water, egg yolks and maple flavouring; beat until smooth. 3. In separate bowl, add cream of tartar to egg whites and beat to form stiff peaks.Fold egg whites into flour mixture until just blended. Fold in nuts. Turn batter into 9-inch (22 cm) tube pan. 4. Bake 55 minutes at 325 °F (160 °C); increase heat to 350 °F (180 °C) and bake another 10 to 15 minutes. 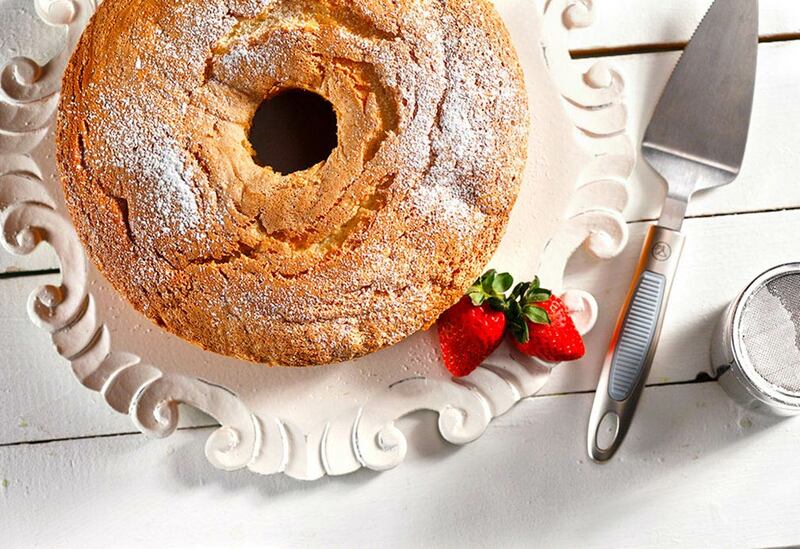 Remove cake from oven and invert pan over cup or glass for 2 hours to cool. Turn cake right side up, run knife around edges and invert onto serving platter. Frost with brown sugar glaze. 5. Brown Sugar Glaze: In medium saucepan, melt margarine, brown sugar and milk. Slowly bring to boil. Boil for 1 minute and remove from heat. 6. Add icing sugar and vanilla; whisk until smooth. 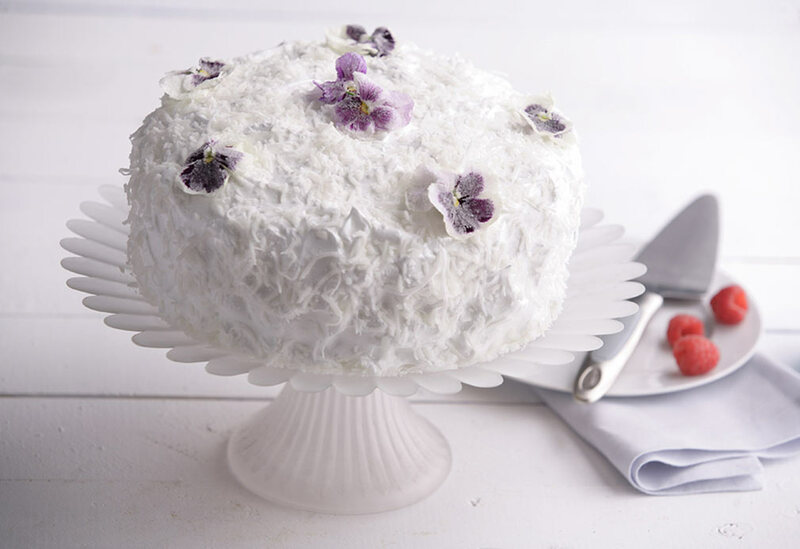 Drizzle onto cake immediately, as the glaze will harden when it cools. 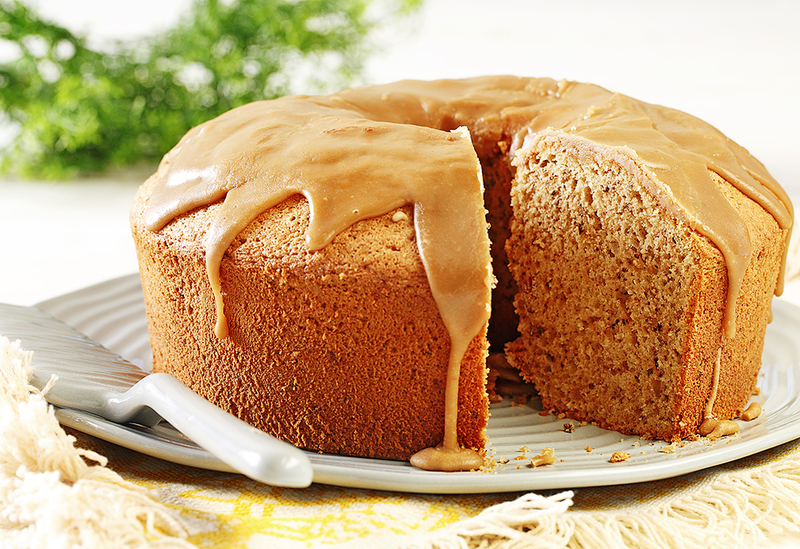 A slice of this richly flavored honey and spice cake is perfect for cooler weather. After measuring the canola oil, use the same measuring cup for the honey and it will slide out more easily. 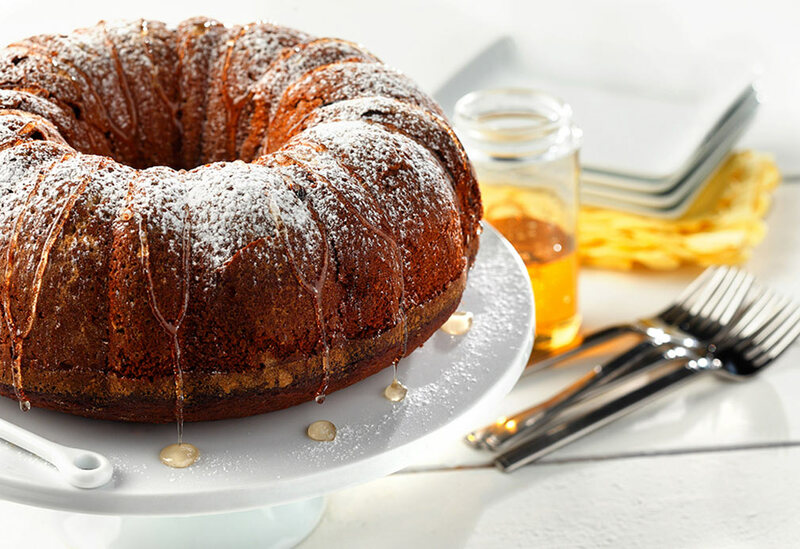 Canola oil makes this cake moist and light.